Credit planning is to set out procedures for defining and measuring the credit-risk exposure within the Group and to assess the risk of losses associated with credit extended to customers, financial investments and counter party risks with respect to derivative instruments. Term loan refers to asset based loan payable in a fixed number of equal installments over the term of the loan, usually for 1 to 5 years. 4) steps to be taken in case of customer delinquency. 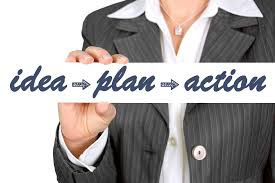 Important Factors / Components are to be taken in consideration by a bank in formulating a credit planning or lending operational policy of a bank. Collection policy is the final factor in credit policy. Collection policy involves monitory receivables to spot trouble and obtaining payment on past due accounts. These will be treated on behalf of applicant’s credit history, capacity to repay, collateral value as eligibility criteria. The eligibility may be judged by business track records and also qualifying for the different types of credit history like type of credit facility, credit limit, repayment records, etc. The present working capital may be considered that can be thought of as cash at hand and bank. Collateral securities which are assets will be evaluated as secured assets and pledge or hypothecation of inventory. This includes a solid cash flow, the ability to live, and skills of keeping accurate and timely financial records. The earnings of borrower to be given out as loan are some of the determining factors in granting the loans. The borrower should have to ability to repay the loans from his business and personal income. The borrower should have experience in business to run that should have business skills and managerial experience. Term loan refers to asset based loan payable in a fixed number of equal installments over the term of the loan, usually for 1 to 5 years. Term loans are generally provided as working capital for acquiring income producing assets like machinery, equipment, inventory that generate the cash flows for repayment of the loan. Banks have term-loan programs that can offer small businesses the cash they need to operate from month to month. Long-term loan normally have lower interest rates than short-term credits. A long-term debt obligation also prevents the faster cash inflow. 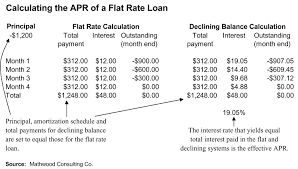 Generally, the level of the interest rate is depends upon the risk involved with making the loan. In case of default, long-term loan includes a greater span of time. The long-term loan will be paid over a loan period. So the lender get recovered the amount by a long period as the lender has missed the rapid credit turn over. 5) Long term debt is often costly to service. 6) The cost of capital is higher in case of long term debt. Distinguish between Term credit and Short-term credit. A form of finance that have a small, mid or long repayment schedule. A form of finance that have a short repayment schedule. 1 to 5 years, in some cases it may be 20 years. 1 or less than 1 year. Competitively marginal or low rate. Some complex to lending except. short-term lending Easy to lending. Advantages of Short-Term Financing. or, Why do the private commercial banks prefer short term lending. Banks can provide short–term credit more easily within the minimum functionality than long-term credit. Banks may impose the higher interest rate due to small amount of credit with the minimum or security less financing. The capital investment is turning over rapidly and it make chance to further investment. Whether, the short-term credit makes the rapid turn-over of capital investment, thus it may reduce the cost of capital. Due to minimum time frame, the repayment of loan may cover in earlier. Thus, the risk is lesser than the long term credit. Banks can overlook more easily to the short-term borrowing customers than the long-term borrower. It is more flexible in the sense that the banks lends as the borrowers are needed and repay then in due time. The maintenance and supports of further credit procedures is simple than long-term finance. In many cases, commercial banks prefer to maximize the fund availability particularly small enterprises. This submit might be very beneficial for us. because of the truth we've some of guidelines and pointers from this positioned up. thanks for this top notch publish percentage. Mobile internet plays vital role in the world every country is busy working for new technology that will make revolutionary change in bank atmosphere I really like the efforts which you have done hope you post best essay writing service and most inspiring articles which contain more knowledge about future of bank. Thank for sharing valuable information. I wanted to find out the best bridging loan provider, so I compared the offers from different websites and it helped me to make the right selection much easily. Are you short on cash to repay your previous debt and no one is willing to help you out in that circumstance? Have no fear as you can get short term loans direct lenders on Cashry. The procedures are mentioned in the website.